Grupo Artemisa wants to generate changes in attitude in Honduras towards sexuality, human rights, gender equality and security of LBT women. 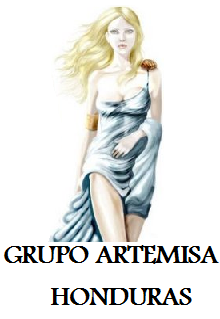 Artemisa initiates projects on education and information about the aforementioned subjects. The Become Listen project uses art to raise awareness about the existence of transsexuals, transgenders and transvestites (TTTs) amongst the general population of Honduras. It also aims to make this group more vocal in civil society and (local) governmental bodies. Grupo Artemisa wants to create a place to meet and talk about the subjects of gender and sexuality through the use of an exhibition. This exhibition, with photographs of human bodies, will be exhibited in the Center of Art and Culture of the National Autonomous University of Honduras, which will be open to anyone. Artemisa also wants to create a short documentary about TTTs and use this during trainings, spread it on virtual platforms and send it to different government institutions. TTTs in Honduras want to be more visible in society, especially after the coup in 2009, when 38 members of the community were murdered. Up until today no one has responded to their deaths. Grupo Artemisa wants to address the stigma this group faces and end discrimination and (police) violence towards them.